It’s been mere months since The Queen City Saints released its album Chorus of the Commoners, so one wouldn’t be surprised to wait awhile to see more new music. But this is not a band that shies away from a cause. To wit, the group just released a new single titled “Hero Of Midway,” a song written about, and in tribute to, American servicemen and women. “It’s about heroism, self sacrifice [sic], and overcoming obstacles that seem daunting to us all,” the band says via its MySpace blog. All money made from the song will go to The Coming Home Project, a nonprofit organization dedicated to helping Iraq and Afghanistan veterans and their families in all facets of life when the soldiers return from service, with aid ranging from physical treatments to psychological care and counseling. The band says the song will also be submitted for inclusion on an album to be sold at USO shows overseas. It’s also available for you to buy online; find out more on the band’s MySpace page. 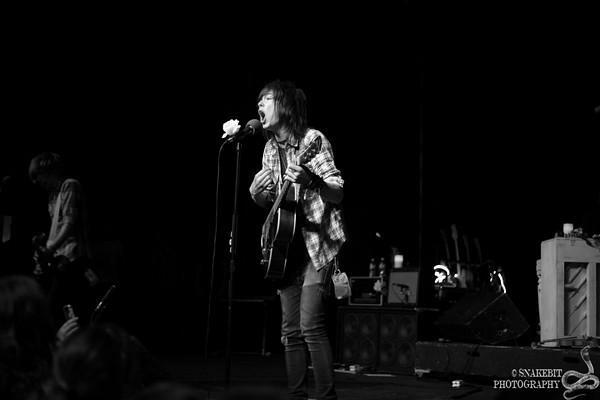 Joplin-based songwriter Christofer Drew, aka Never Shout Never, has been the subject of considerable local buzz in recent months. Nationwide touring, album recording and, most recently, a record/label deal with Warner Brothers has kept Drew, all of 19, on the tips of many tongues. Now, apparently, he has landed on that of MTV, as well. Never Shout Never was spotlighted yesterday on the cable “music network” with a post and video interview on its Buzzworthy blog. Of course, “Buzzworthy” is MTV’s series of artists the network believes you should keep an eye on for big things in the near future, sort of an evolution of its “Buzz Bin” from the ’80s, ’90s and early ’00s. The interview covers five questions, and it gives the viewer a pretty good idea of Drew’s personality. You can watch the whole thing (run time 3:39 and totally work-safe) by clicking on these funny-colored words. Of course, the interview has almost nothing to do with Never Shout Never’s music (ah… “Music Television”…), so to learn more about the artist through his chosen medium give a listen by clicking here.